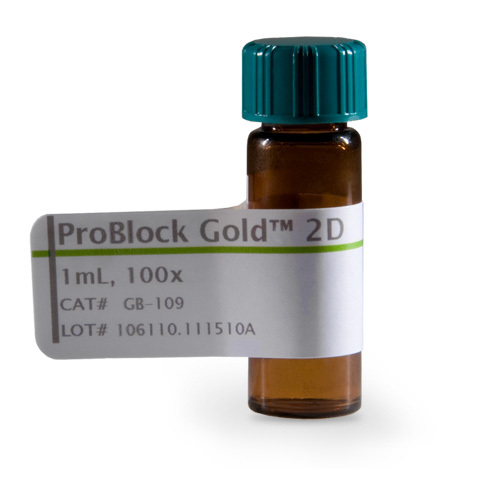 ProBlock™ Gold 2D is a protease inhibitor cocktail specifically developed for sample preparation for IEF/2D- studies. No EDTA is used, which allows optimal action of nuclease activity for removing nucleic acids from the samples. 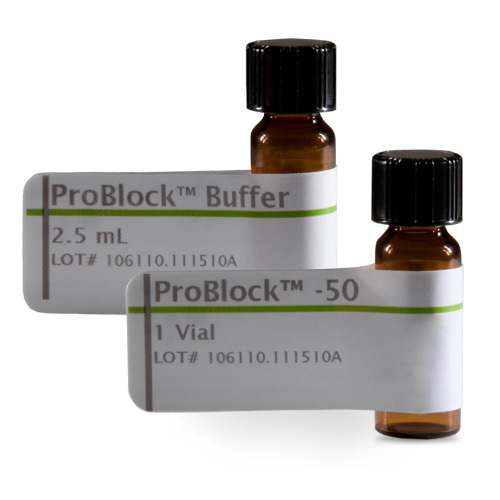 ProBlock™ Gold 2D contains both irreversible and reversible protease inhibitors and inhibits serine, cysteine and metalloproteases etc. Due to the optimized concentration of the various inhibitors, the ProBlock™ Gold 2D shows excellent inhibition of protease activities and is therefore suitable for the protection of proteins extracted from animal cells / tissues, plants, yeast and bacteria etc. 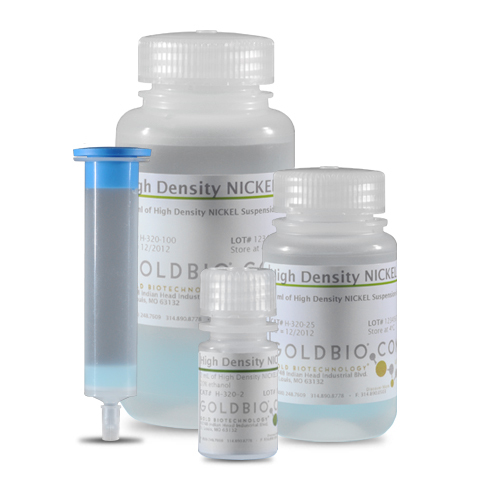 ProBlock™ Gold 2D at 1X concentration in extraction buffer at pH 7-8 inhibits over 90% of protease activities. Procedure for use, product information and storage conditions.